The lot at the corner of 16th Street and Simpson Avenue is currently paved and leased by the Perry Egan Chevrolet dealership. It includes a small garage at one end. 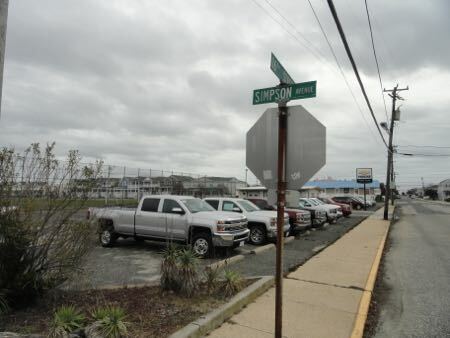 In a unanimous vote Wednesday, the Ocean City Planning Board gave preliminary approval to the concept of bringing 10 new “coastal cottages” to a lot on 16th Street currently used by a car dealership. But with Perry-Egan Chevrolet currently holding a five-year lease on the property, any potential new construction would be five to seven years away, according to representatives of the owners. “Coastal cottages” are part of a new concept to attract more year-round families to Ocean City. The idea was part of Ocean City’s latest Master Plan revision. The basic concept calls for two small single-family homes to share a lot that would typically house a duplex. The board approved the “conditional use” for the city’s Drive-In Business Zone and preliminary subdivision and site plans. The applicants would have to submit final plans — possibly years away — before any project could move forward. The board waived engineering and drainage considerations until any final application. “We’re essentially looking for zoning protection with the lot sizes,” attorney Michael Fusco said. The proposal conforms with the requirements outlined in the zoning ordinance that permits coastal cottages. But the board discussed possible changes to better utilize open space ratios required in the ordinance. Any final application would have to conform to an amended ordinance. The Planning Board gave preliminary approval for an owner to build 10 new coastal cottages on a lot adjacent to the soccer field between 15th Street and 16th Street, Haven Avenue and Simpson Avenue. 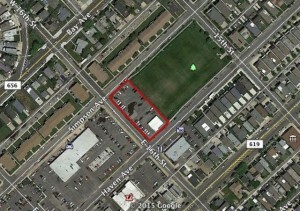 The 29,958-square-foot lot shares a block with the soccer field at Emil Palmer Park. 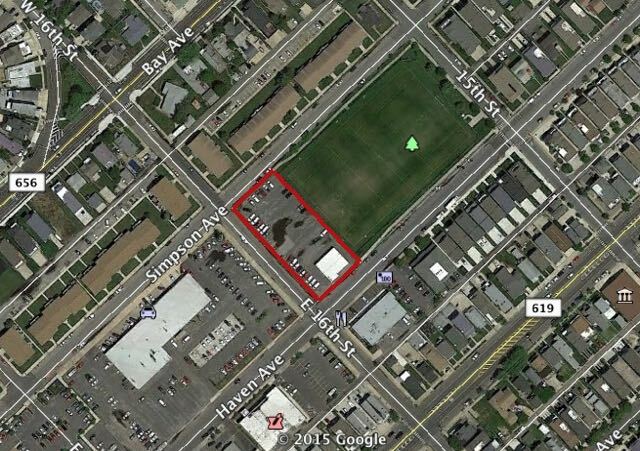 The lot has 110 feet of frontage on Haven and Simpson avenues and 245 feet on 16th Street. Perry Egan uses the paved property to park some vehicles from its main dealership across the street. The lot also houses a 3-bay steel garage that would be torn down under the proposal. The application calls for 10 new single-family units to occupy the same space. Each unit would include parking for two cars, and living space would be 1,520 square feet to 1,700 square feet. The applicant is Palmer Center LLC, an entity owned by John Flood and his immediate family. The property has been owned by “various family comprised entities” of the Flood family since the 1950s, according to the Planning Board documentation with the application. The lot is part of a DB Zone that has struggled to retain businesses. The soccer field was a former Super Fresh location. The former Peter Lumber Company property across Haven Avenue from the field was rezoned to allow single-family homes. Three blocks down Haven Avenue, a former car wash and waste management business, were replaced by Ocean City’s first coastal cottages, which are currently under construction and reportedly being purchased by year-round families.